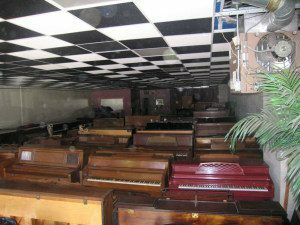 Looking for a Piano Storage Nearby? Proper piano storage is vital to ensuring that your instrument remains healthy. At Piano Movers NYC, we offer high-quality maintenance and climate-controlled storage at all times. Piano humidity control, temperature, and dust are some of the things that we keep an eye on to provide you with peace of mind. Our NYC piano moving and Brooklyn piano storage facilities are excellent for local and nationwide clients alike, whether you are in New York, Manhattan, Long Island, or elsewhere. Our 10 years of excellent service have built a strong trustworthy reputation for us, and we are constantly working to reinforce it. Why Choose Climate Controlled Piano Storage? Wood: Hot or cold temperatures can cause the wood to expand or contract respectively. You need climate controlled storage so the piano is not to be affected by sudden cold snaps or heat waves that can damage your instrument. String and Joints: The strings and joints are vulnerable to temperature and humidity. With over 15,000 joints in the average piano, that is a lot of glue that can come undone. For the strings, on the other hand, rust and corrosion are the culprits that can cause damage without the proper piano storage conditions in place. Tune: Hot temperatures cause the piano to go sharp, and cold ones cause the piano to go flat in a combination of the factors above. This increases the cost of caring for your instrument and can wear out the parts. Experts suggest maintaining a piano temperature range around 70°F. But what is the ideal humidity for a piano? Piano specialists suggest that 50% humidity is a great go-to number to minimize the impact of storage. That is why make sure the company you work with follows the industry piano storage tips to ensure its safety. Your instrument will be stored away from the outside walls of the building to make sure that proper temperatures and humidity levels are maintained around-the-clock. We use special materials to enclose your piano and protect it from dust and damage. Our staff is also responsible for gentle piano cleaning. Our facility is secured from unauthorized entry, and your piano is insured against theft and damage. The piano storage cost begins at $60/month, depending on size. With over 10 years of experience storing pianos for clients all over New York and the USA, you can rely on Piano Movers NYC to protect your sensitive instrument. Contact us today to find out more about our services, and what we can do for you!